Are G2 still the kings of Europe? An analysis of G2’s stumbles at the end of the split and what they can do to rectify things. A power vacuum in the EU LCS was created following the 2015 season when Heo “Huni” Seung-hoon and Kim “Reignover” Yeu-jin left Fnatic for the NA LCS. Many teams tried to fill that void, including a revamped Fnatic squad, Origen, and H2k. But at the end of the day, only one team stood on top as Kings of Europe: G2. Since a surprise run to the championship in the 2016 Spring Split, G2 has won four straight European titles. But following their latest Worlds disappointment, G2 completely retooled their roster for the first time in two years. 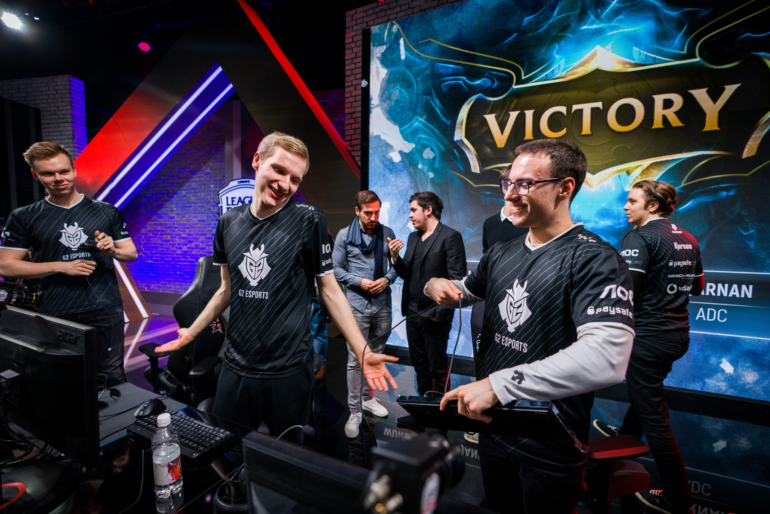 With four new players around stalwart mid laner Luka “Perkz” Perković, G2 have done well for most of the 2018 Spring Split. But some stumbles down the stretch, including a 0-2 week eight, have knocked them down a few pegs in the standings. With their title of kings of Europe in question, we took a look at some of G2’s recent struggles to see if they’re truly vulnerable. Every game matters when it comes to a team’s spot in the standings and playoff seeding. Fnatic are sure happy that they get to face a deeply-flawed Vitality squad this week instead of Splyce, whom G2 will play tomorrow at 1pm ET. But in analyzing how a team is actually playing and how they’ll perform going forward, some games are terribly helpful. Take G2’s week eight loss to H2k—G2 were in control for nearly the entire match until they threw by chasing into the H2k jungle. Assuming that Perkz has learned that flashing into an Azir with Syndra isn’t a good idea, we can safely say that throw won’t happen gain. 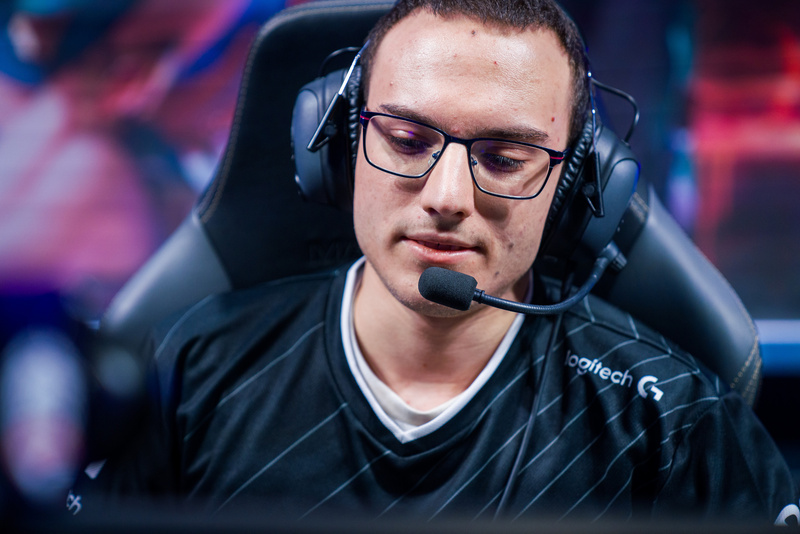 Perkz does this type of thing every once in a while, but it’s safe to say he won’t screw up mechanically three times in a five-game series. The loss to H2k may have been a bit of a fluke, but their other losses tell a story of how they can be beat. One of the most pleasant surprises for G2 this split has been the play of top laner Martin “Wunder” Hansen. 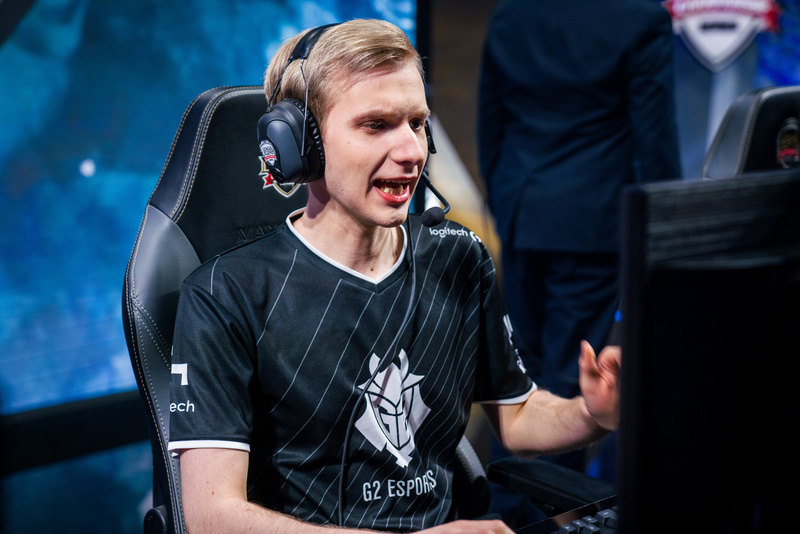 He’s always been a carry player, but Perkz and jungler Marcin “Jankos” Jankowski are giving him even more room to get ahead in the early game this year. He’s turned that into solid performances for his team—he averages nearly 100 damage-per-minute over the second-best top laner in EU. But when Wunder is on tanks, things get a little more interesting. Tank players don’t win by smashing turrets and champions alike. They have to survive lane, but the best measure of tank players is their ability to sense when and where to start fights. That’s where tank stars like Paul “sOAZ” Boyer of Fnatic and Andrei “Odoamne” Pascu of Splyce shine. And that’s where Wunder—and his team—need work. In that first clip of G2 overchasing, Wunder’s teleport was on cooldown. 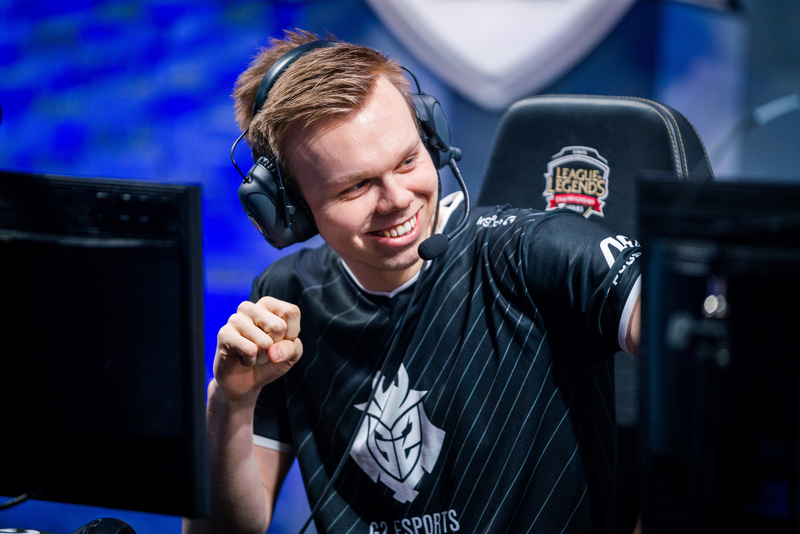 But even when it is up, G2 can be caught, like in this game-breaking fight against Schalke 04, also in week eight. Once again, you have Perkz diving to attack an Azir with both Summoner Spells up. He must really hate that champion. But watch the way Wunder is moving before the play—he is already heading up the river, anticipating a fight in the S04 blue side jungle. G2 knew that Wunder’s counterpart, Tamás “Vizicsacsi” Kiss had teleport available. In that sense, they had two choices: win before Vizicsacsi could TP in on Maokai, or force that TP out and disengage. That’s the only reason Wunder would be walking instead of teleporting immediately. And that’s why this question isn’t so much about Wunder as it is about the team’s comfort with tanks as a whole. This all ties into another issue with G2’s overall late game. When G2 are at their best, they accelerate in the early game and don’t give their opponents any space to come back. Wunder and Perkz create chaos in the side lanes and G2 are able to take objectives for free. But when they don’t have that advantage, G2 are very comfortable calling for all-in fights that could go either way. This isn’t a novel strategy—SK Telecom T1 have used similar late-game prowess to win three World Championships. But with Wunder more comfortable on carries, this makes those late-game fights very interesting. In their tiebreaker match a couple weeks ago against Splyce, G2 were the ones getting shoved in. So they called Wunder over to the Baron pit and just started it. In an extremely messy affair, Jankos was able to come up with the smite, but just barely. This play could have gone wrong so easily. Against better opponents, that will catch up to them, eventually. But whether it catches them tomorrow is the big question. G2 have made themselves kings by always coming through in the clutch. Can they climb that mountain once again?